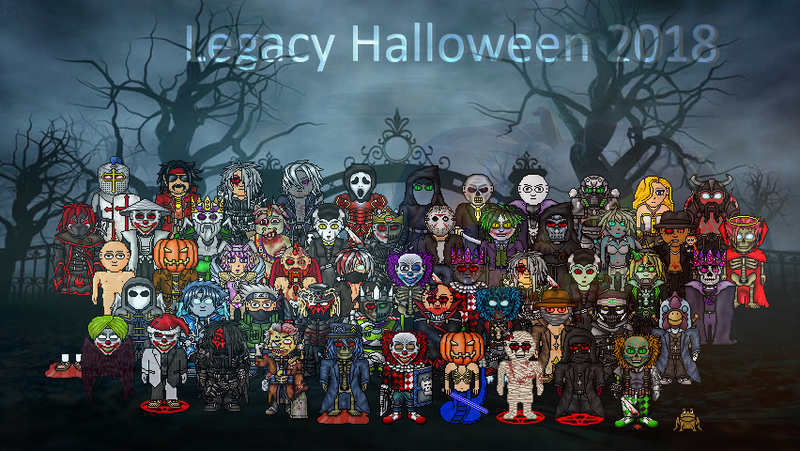 Click here for Legacy's Halloween 2017! This year we had a similar event to last year, including 6 NPCs, a SNPC and a medley of healing and Shadow Forge items. Rather then the traditional credit cost to hunt these cost 50 energy on top of the regular 5 energy per attack. An undead monster of nightmares, its only motivation to hunt humanity and eat brains. The villain of many scary campfire stories, Stramineus haunts the Hive only during the 10th month of the year. Hunt while you can, it won't be around for long. This year, without the Halloween sack to give the recipes, they were made available at Joe's Merchandise for 50 credits each. This blueprint is used to create a Poppet from combining an effigy with animated souls. This blueprint is used to create a Skull Mace from combining a skull and metal. This blueprint is used to create an Effigy by combining animated souls. 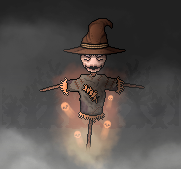 This poppet once used will give you. Silver hard hat, which reduces the chance of injury while working to 1%. "Honing boost" buff, granting an additional 1 xp per hit during fights for 3 days. Flashlight, which increases the chance of finding golden nuggets while working exploration or regular mining. "Gamblers delight" buff, granting an additional 50 tokens to your allowance, per day for 3 days. Garlic necklace, working similarly to the hospital pass, giving a 20% discount from the hospital. "Boon paradise" buff, making the rate you earn boons 50% faster, for 3 days. Thanks to Picard, a group photo depicting Legacy character that wished to be included, has been made.